Objective: Write 4 paragraphs about experience at Heritage School. Describe Activity: Students wrote in their journal and no corrections were done on their entries. This is a sample of regular journal writing. Strengths: Well organized into 4 paragraphs with excellent writing skills. I really like acting, and yesterday at Heritage School I got to act like I was a student from the 1800's. Rating 1-5 5 being the best 1 being ok I gave it a 5. We were there for four hours. The school has an outhouse, It has a bell. It has a log cabin, post office, and train station. It had many paintings. It had lovely desk. It had an old chalkboard. It had a washroom and a coatroom. We studied many subjects. Some were spelling, handwriting, arithmetic, poems, Nebraska History, and Mugguffy reader. Something that surprised me was Jayme won the spelling Bea. It surprised us. But mostly he was. Oh, Little Laura, there's so much I want to say about this. And you've left me with no choice, but to start with your grammatical mechanics. Especially, because you called out one of your classmates for winning the Spelling Bee when you ACTUALLY BIFFED THE SPELLING OF SPELLING BEE. 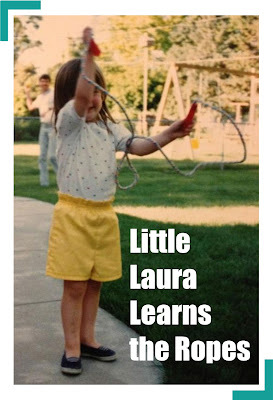 Unfortunately, Little Laura wasn't being clever, but being stupid. In addition to blowing "spelling bee," Little Laura is using apostrophes with her years (1800s, not 1800's, girlfriend) and not using enough commas once again. Little Laura biffed the spelling of the McGuffey Reader, which is embarrassing considering how many Little House books you read that year. On the other hand, you did spell arithmetic correctly, which isn't the easy word, so I'll give you that, LL. As for the content... we're still digging the laundering lists, aren't we, Little Laura? Spelling. Handwriting. Arithmetic. Poems. Nebraska History. Reading. Are you sure you didn't forget something? It's also hard to ignore Little Laura's not so subtle nod to her ambitions as an actress. At this point of time in LL's life, she was fresh off her stage adaptation of "The Lion King" (before those jokers on Broadway, too) and in the midst of staging the first of two American Girl plays. She was also taking acting classes and auditioning for every role offered to 8-10 year-old girls at the Lincoln Community Playhouse. Did Little Laura think she might finally land that role by plugging her fledgling acting career in a fourth grade journal? Or maybe she was ambitious enough to think that someday, when she was a famous actress, E! would feature this journal entry in her E! True Hollywood Story. Time for a truth bomb, y'all. Little Laura actually did think about things like that. If you were in my sixth grade class and had me sign your yearbook, chances are better than good that I signed everything with "NASA Rocks," because I figured it would mean a lot to the poor suckers I left behind when I became the first person on Mars. Yeah, humility has never been one of my strong characteristics, and vanity one of my biggest flaws. Oh, LL, you're good with the details - but you left me wanting to know more. So much more! Did you use the outhouse? What were the paintings of? Also, I didn't realize that Mugguffy reader is a subject. We never studied that subject in my school. Stupid Catholic school!